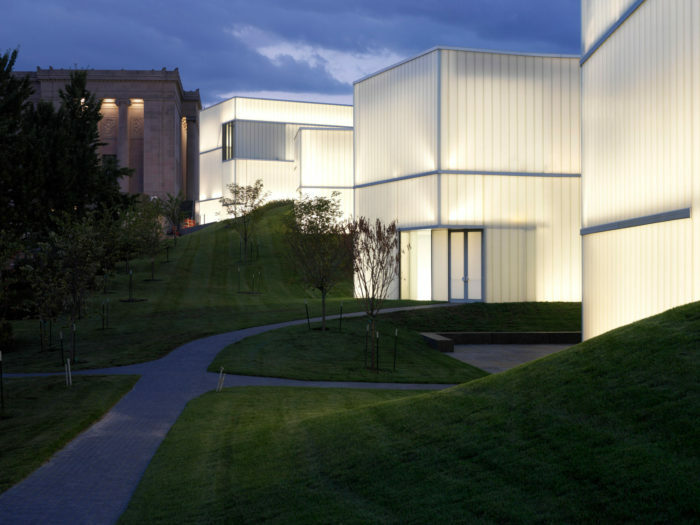 Steven Holl conceived his expansion of the Nelson-Atkins Museum of Art as the insertion of a long, slender underground space and five interconnected structures that emerge from it, acting as “lenses” of light within the landscape in front of the existing Beaux-Arts museum building, built in 1933. 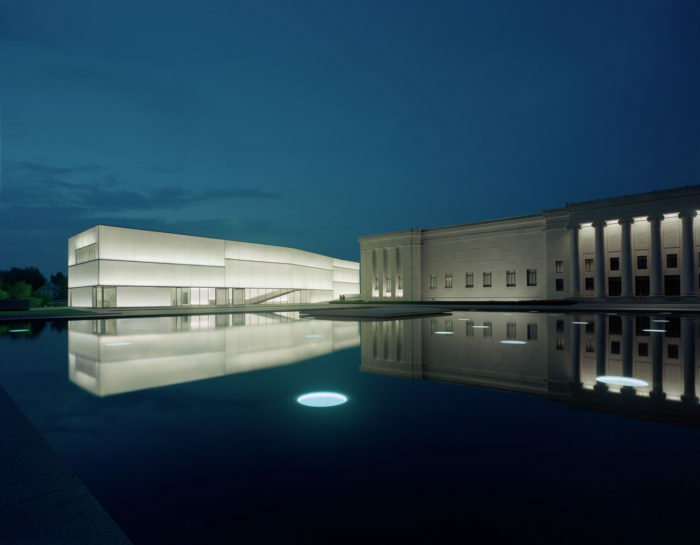 The centerpiece of the design, the luminescent character of the new structures’ primary facade system is achieved by employing channel glass in a unique manner. 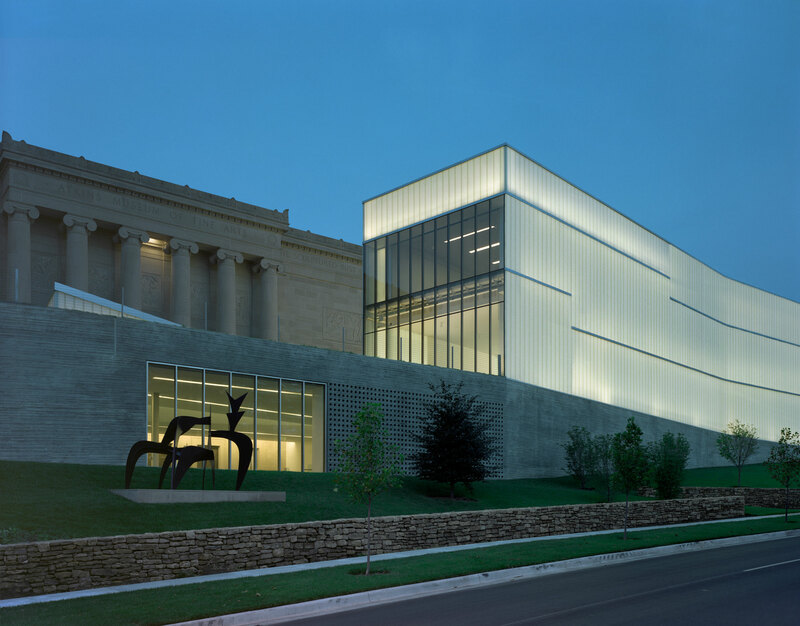 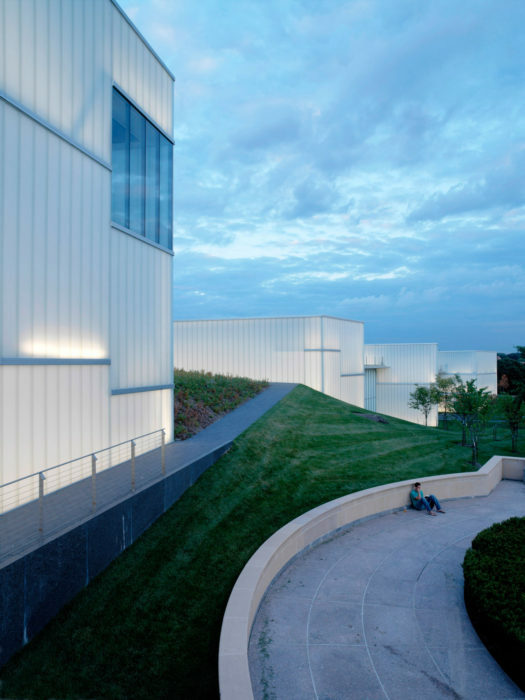 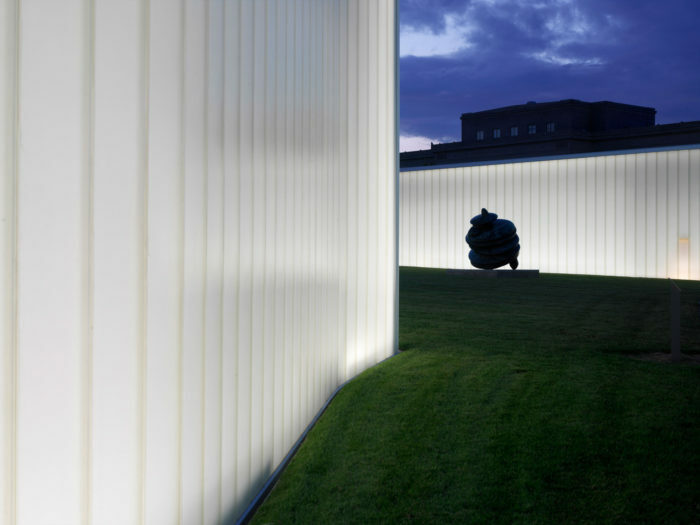 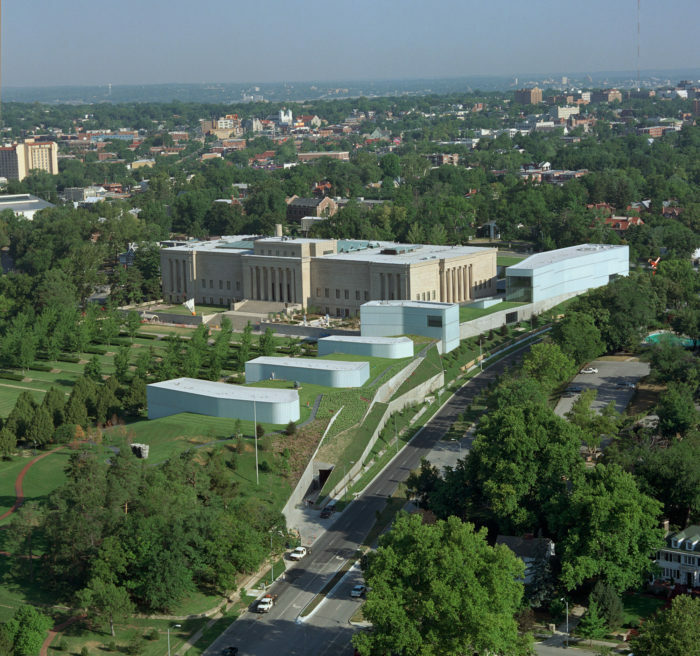 By day, the glass provides indirect, museum-quality light in the buildings’ interiors, and at night it diffuses interior light, illuminating the building’s exterior surfaces and casting an ethereal glow on the Nelson-Atkins campus. 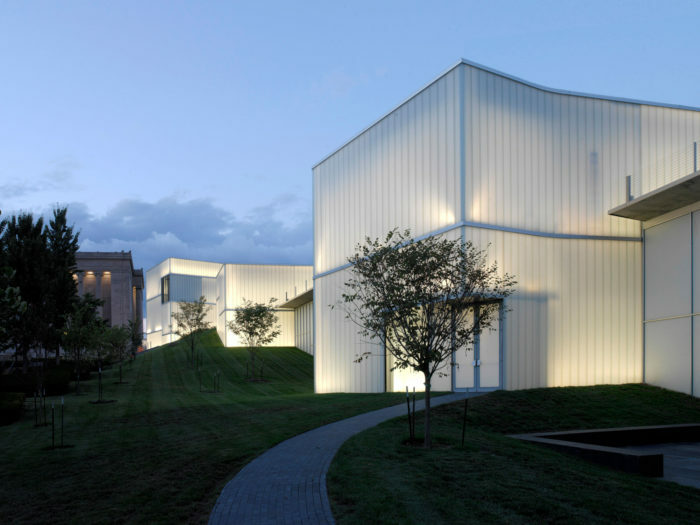 Channel glass, traditionally used in industrial contexts, is a relatively a new building material in the United States, and Heintges designed strategies for this original use of it. 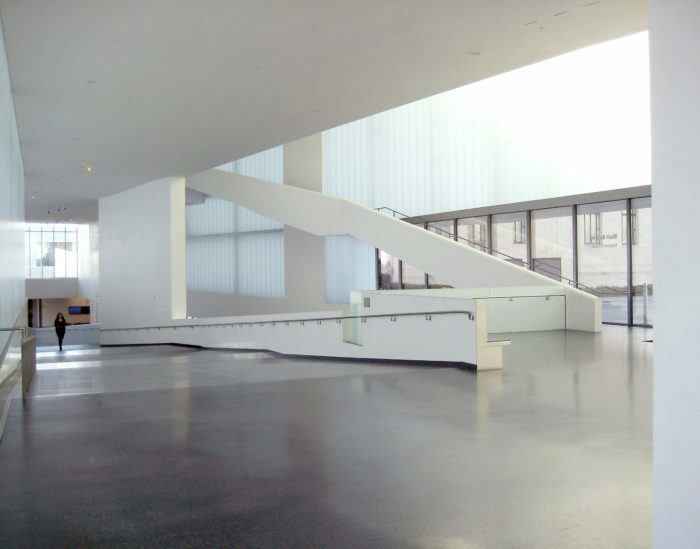 To accommodate buildings’ significant inter-story movements, Heintges developed a unique channel-glass support system that is now in standard use by the industry. 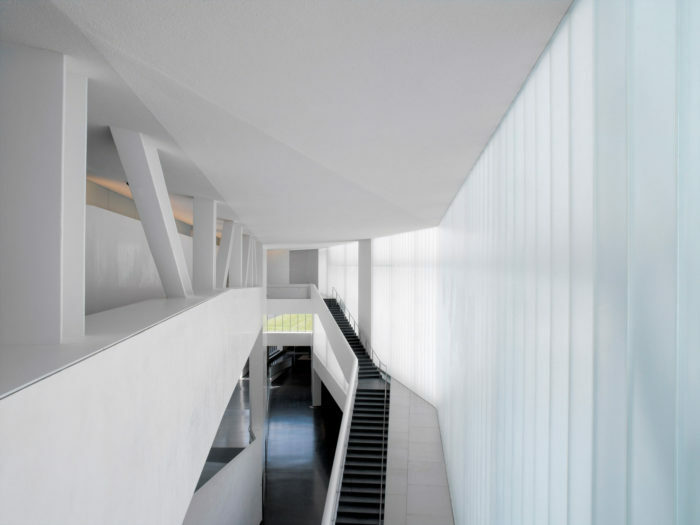 Heintges also proposed and developed the first use of this glass in a double-skin climate-wall construction, employing dual-mode humidity control to meet the challenges of a humidified museum environment. 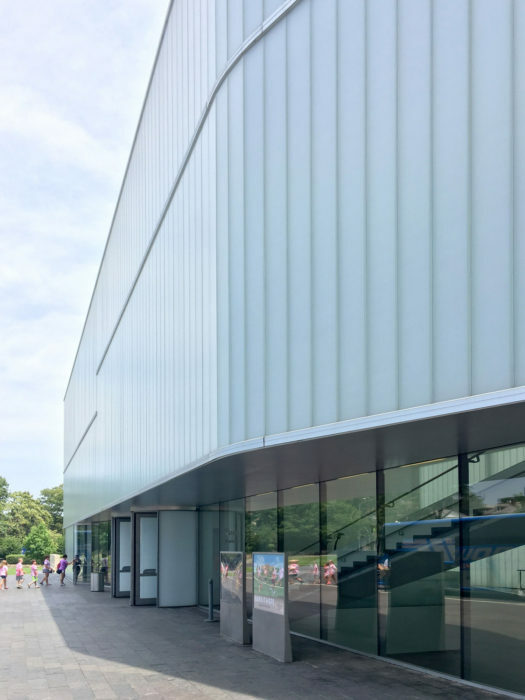 Heintges provided curtain wall and building envelope consulting services during all phases of design and construction, and conducted research and testing of the properties of channel glass. 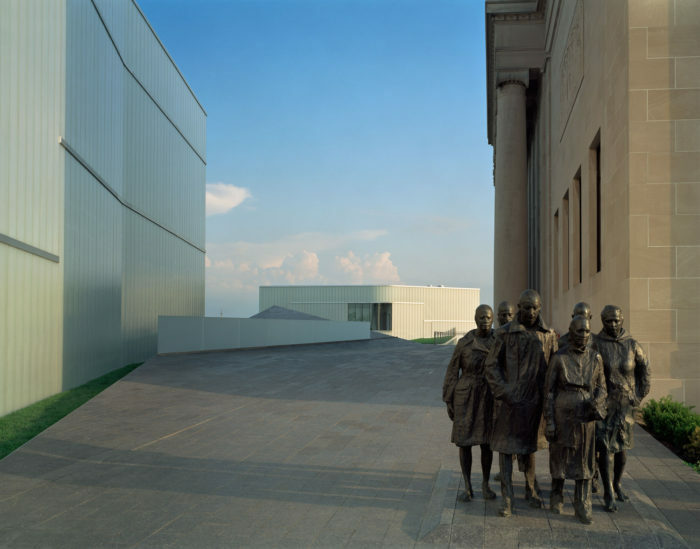 Photographs 1-4 by Timothy Hursley; Photographs 5-9 by Andy Ryan; Photographs 10 & 11 by Heintges.